Molloy College, located on Long Island just outside of New York City, may be just what you are searching for. When you come to Molloy, you stay at Molloy. Our retention rate is one of the best in the country. When you stay at Molloy, you graduate from Molloy. Our graduation rate is among the best in the region. When you graduate from Molloy, you get a good-paying job in your chosen field. Salaries of our graduates are, on average, $10,000 higher than our competitors. Molloy College, located on Long Island just outside New York City, may be just what you are searching for. We offer students a rich and multidimensional educational experience in a personalized community setting. We combine the strengths of academic excellence and leadership with personal, compassionate mentoring to bring out the best in every student. In today’s challenging economic environment, students (and their parents) are looking for a great education at an affordable price. And there is no better place to start than Molloy, the only college in the US to be named a top three “value” institution by Money magazine for two consecutive years. 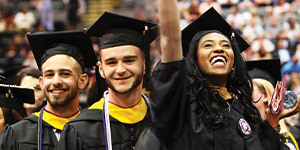 The rankings are part of Money’s “Best Colleges” issues and highlight Molloy’s graduation rate, affordability, and high salaries of graduates, to name a few factors. Other recent honors include being named among the best in the country for student earnings by Georgetown University. Additionally, for two consecutive years, Molloy’s Business students have earned the highest CPA exam pass rate on all of Long Island. Over the last 60 years, we have evolved into a dynamic learning institution with outstanding faculty, advanced technology, and a wide range of academic programs. 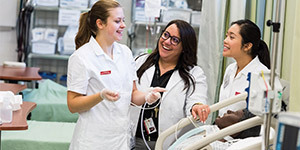 We offer small class sizes and caring faculty who are invested in your success. The proof is in our freshman retention rate of nearly 90%, among the highest in the nation. Additionally, our graduation rate is 11% higher than the national average. Recently our campus underwent significant changes. We have two new residence halls, with another scheduled to open in fall 2019. Serving as the hub of our new campus is the Public Square, our new student center. Housed in the student center is the Madison Theatre, which hosts a variety of well-known performers from around the world each year. Our most recent addition is a new academic building, the Hagan Center, which houses our nationally ranked School of Nursing. Additionally, we also added the Manhattan Center, the new home of the Molloy/CAP21 Theatre Arts program. We have expanded our International Education program, where students travel and study abroad in Australia, Belgium, France, India, Italy, Japan, Spain, and Thailand, to name a few locations. By immersing themselves in another culture, students gain knowledge while learning acceptance and understanding. Molloy is also home to two unique initiatives. The Sustainability Institute at Molloy College is Long Island’s first-ever venture combining environmental advocacy and sustainability education within an academic institution. And our Irish Studies Institute is designed to highlight the rich history integration and cultural exchanges of the Irish throughout the New York metropolitan area and beyond. Athletics and academics go hand-in-hand at Molloy, where our students are known for both their athletic and scholastic success. The Lions field 19 teams in men’s and women’s sports, and most recently, the women’s softball team made the national championships (one of only eight teams in the country to do so). Additionally, the women’s basketball team recently reached the Sweet 16 nationally, while the men’s baseball, basketball, and soccer teams all reached the conference finals. Molloy athletes compete in the East Coast Conference, NCAA Division II. Campus life is alive and vibrant at Molloy, with approximately 50 student clubs and honor societies. Whether it’s writing for a campus publication or serving as a student government representative, Molloy has something for each and every student. In recent years, the College has become a focal point for civic discourse with key community forums. Top regional, national, and international leaders such as former Secretary of State General Colin Powell, internationally renowned journalist and editor Fareed Zakaria, and author Malcolm Gladwell have spoken at Molloy on critical and timely issues. 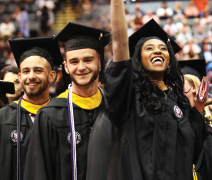 Through the College’s diversity of programs, personalized attention from faculty, and commitment to improving both Long Island and the world, our students find what they are searching for at Molloy.